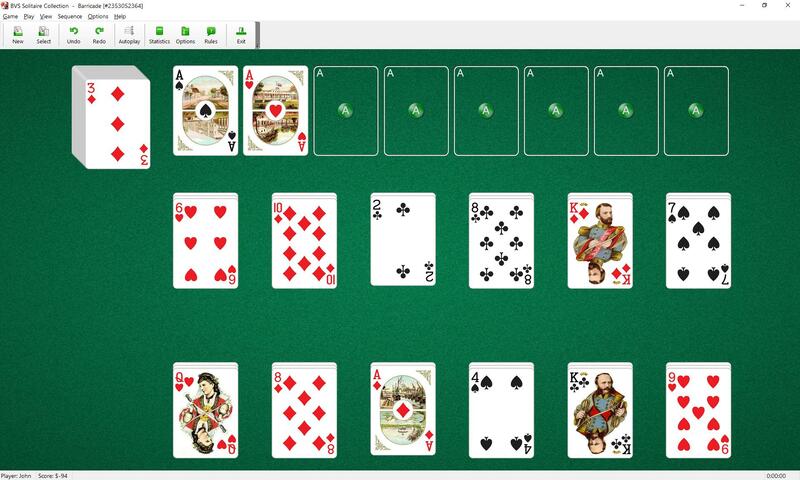 Barricade Solitaire uses 104 cards (2 decks). 12 tableau piles with 3 cards per pile and 8 foundations are placed on the board. 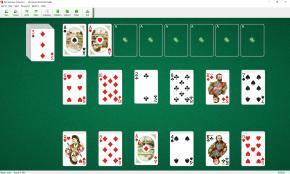 The top cards of tableau piles and stock are available for play. You can build tableau piles down regardless of suit. You can move any single card to a tableau pile from another tableau pile or stock. When one tableaus is empty it immediately fills up with a card from the stock pile.